It takes getting in the game. It takes is the first step, because without that step, nothing else will happen. For Matt Miller, it started with one machine. When he heard the coins drop that first time, he was hooked. He went on to build a large and growing franchise business through that experience. He is adding value to the world everyday because he took the first step. What is your coin drop? I can tell you my coin drop. It was the first coaching client I had in 2010. The look on his face when I helped provide him clarity and results hooked me for life. 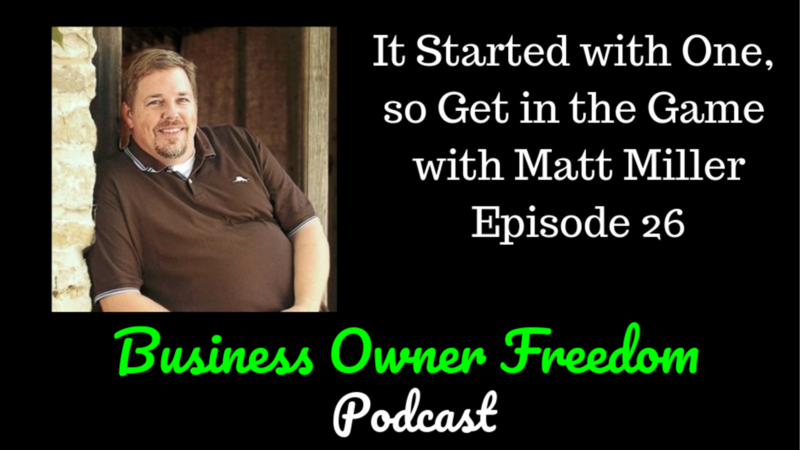 It was the one thing that pushed me to build a business around helping small business owners. It is what calls me everyday to add more value. And just like Matt hearing the coin drop over and over again, I still experience the same clarity moments in my coaching everyday. What is your coin drop? What is your one thing?